The UNB College of Extended Learning is proud to present recent #1 National best-selling co-author Chris McChesney for a special speaking event, The 4 Disciplines of Execution, on Wednesday, Nov. 28, at 3:30 p.m. Participants will learn the process for executing strategy and how to deploy the principles at every level of an organization. Performance of individuals, teams, and the organization will increase. Leaders and team members will become clear on the priorities and everyone will share a framework of accountability to achieve the goals. Join Chris McChesney at the Wu Conference Centre, UNB Fredericton, to learn how to execute strategic goals, align your organization with your objectives, and keep your teams engaged and focused. 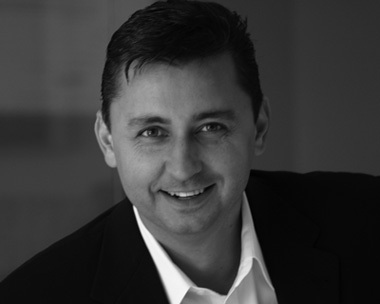 Chris McChesney is the Global Practice Leader of Execution for Franklin Covey and one of the primary developers of the 4 Disciplines of Execution. For over a decade, he has led the design and development of these principles, and caused Franklin Covey's consulting organization to become the fastest growing area of the company. Clients of the 4 Disciplines include the State of Georgia, Marriott International, Shaw Industries, Ritz Carlton, Kroger, Coca Cola, Comcast, Frito Lay, Quaker Oats, Lockheed Martin, and Gaylord Entertainment. Chris launched the first 4 Disciplines of Execution Practice in the Southeast Region of Franklin Covey and today it has expanded around the globe. During this time of growth and expansion, Chris has maintained a single focus: to help organizations get results through improved execution. Known for his high-energy and engaging message, Chris has become one of the most requested speakers within the Franklin Covey Organization, regularly delivering keynote speeches and executive presentations to leaders in audiences ranging from the hundreds to thousands. For more information, or to request an interview, contact Belinda Elliott.